Today is Spiked! reveal day using the ingredient Limoncello. I decided to go down the savory road with this Limoncello and Asparagus Risotto. Not only does it have a nice lemony taste but asparagus season is coming soon and is perfect in this creamy rice dish! Before we go any further, I want to mention that if you aren’t a fan of using alcohol – don’t worry I’ve listed substitutes so keep reading! The Spiked! 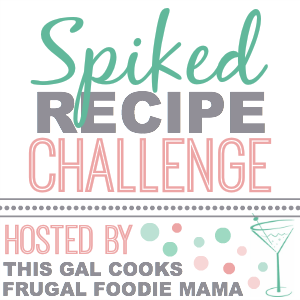 challenge is hosted by 2 friends of mine, Julie at This Gal Cooks and Carrie at Frugal Foodie Mama. It’s fun to see what everyone comes up with so be sure to head over to their sites to see the other recipes. Heat the butter and oil in a large saucepan over medium heat. Then add the leek and cook about 6-7 minutes until tender. In a another saucepan bring to a simmer the broth and wine; keep simmering throughout process. Gradually add in 1/2 cup of hot broth to the rice; stir constantly until it is absorbed then keep adding 1/2 cup at a time until broth is absorbed by rice. It must be stirred constantly and should take about 20-22 minutes. The rice should be just slightly firm. Remove from heat and add the asparagus, cheese, limoncello and pepper. Cover the pan and let sit 5 minutes. I kind of lucked out with the Limoncello part. My friend Steph made her own this past fall and gave us some at Christmas. It’s really good and went well in this dish. And you might be thinking that making risotto is hard to do but it’s just stirring, stirring and stirring… we can all do that, right? You can get your workout in at the same time! This risotto dish is super creamy and very addicting. While it makes a great side dish, the DIY Guy and myself ate it as a main dish and I’m glad we did! 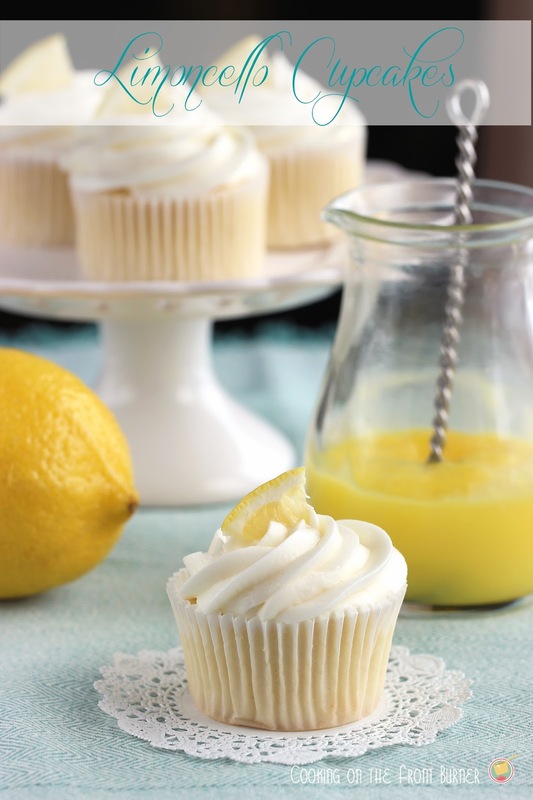 I’ve used this same Limoncello in a cupcake recipe… check it out as well! Blog Anniversary and $500 Cash Giveaway! Thank you for joining us for this month's Spiked! Recipe Challenge & Good Luck! Pinned & sharing! LOVE this, Deb! I considered doing a savory dish as well but then I saw those puddings in one of my cookbooks and I couldn't get them off my mind! Great recipe, Deb. Thanks for participating in this month's Spiked Challenge! This looks and sounds amazing! I love that you chose to go the savory route – who doesn't love risotto? YUM! I thought about the savory root, but the sweet was just screaming to get out!! But this recipe? AMAZING! I'd have to sub the asparagusting with green beans or something. I just recently discovered a HUGE jar of arborio rice in the back of my pantry cupboard. I had completely forgotton about it, so now I'm getting ready to go on a little risotto marathon. This looks so fresh and flavorful, Deb. I wish I had a friend who made homemade limoncello. You're so lucky! This looks delicious! I have never made risotto before – I am going to have to give it a try with this recipe! I love that you made a savory dish with the lemoncello. It looks like the perfect combination with the asparagus and risotto. Love the creaminess! Have a wonderful weekend, Deb! I assume this is a 1/2 cup cheese? This looks so delish Deb! 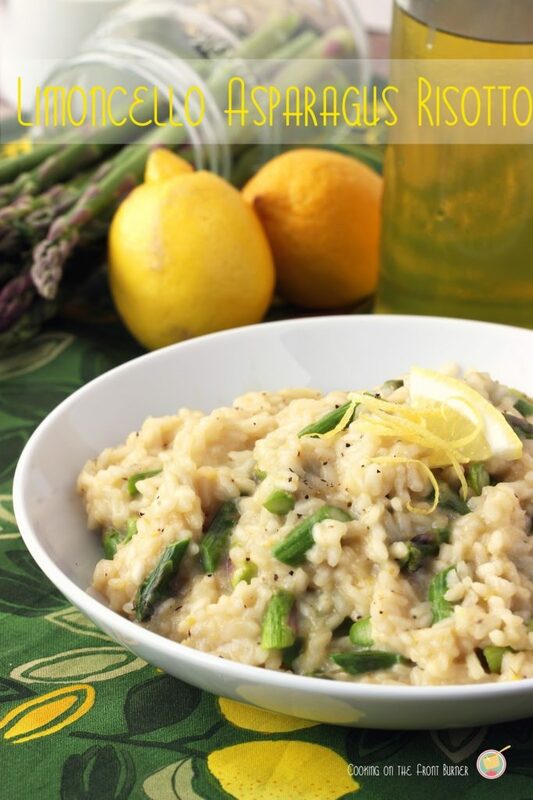 I love the asparagus lemon combo, and I'm sure it makes this risotto amaaaazing! This sounds like a great dish, Deb! 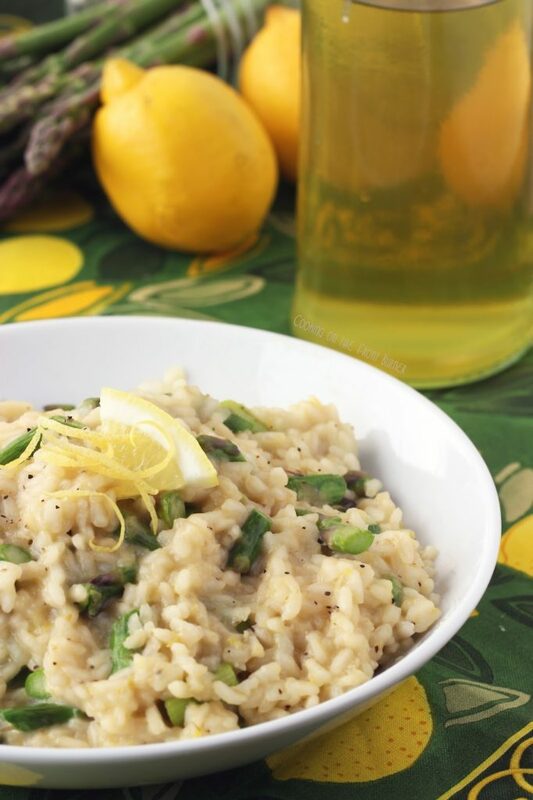 I love your idea to add limoncello to your risotto — so fresh tasting and fun! Have a wonderful week! I have a big bottle of limoncello so glad to find your recipe. Pinning. This sounds awesome, Deb! 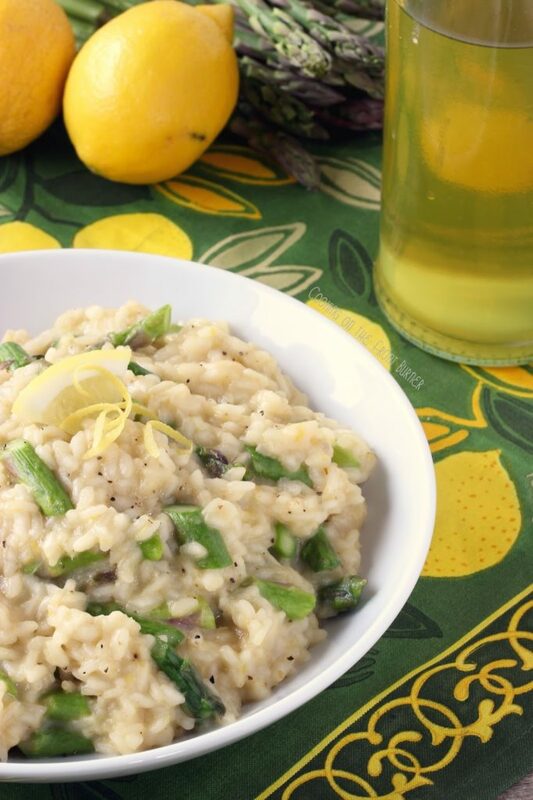 I am a HUGE fan of risotto and am always looking for new flavors…..and I just happen to have limoncello, too!